Reading can be one of the many fun activities children choose to fill their summer time. Research has shown it is also much more! Children who participate in public library summer reading programs make achievement leaps during the summer and maintain their reading achievements. Students, grades k-5, are invited to share in an evening of fun filled events including summer reading sign-up with the local “Mighty Five Libraries”. Join the South Orangetown Literacy Extravaganza, Monday, June 11, 2018 at the William O. Schaefer school. This night is for K-5 students and their guardians. There are NO drop offs. Space is limited and families must register via the online link (below) by Wednesday, June 6. Once you’ve registered online, we will send an email notification to confirm your attendance. 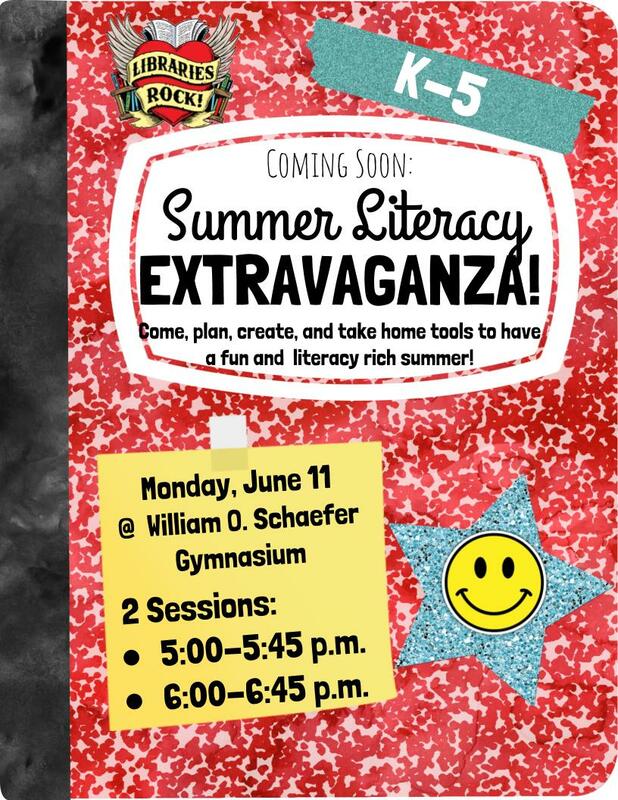 Click here to register for Summer Literacy Extravaganza Night!